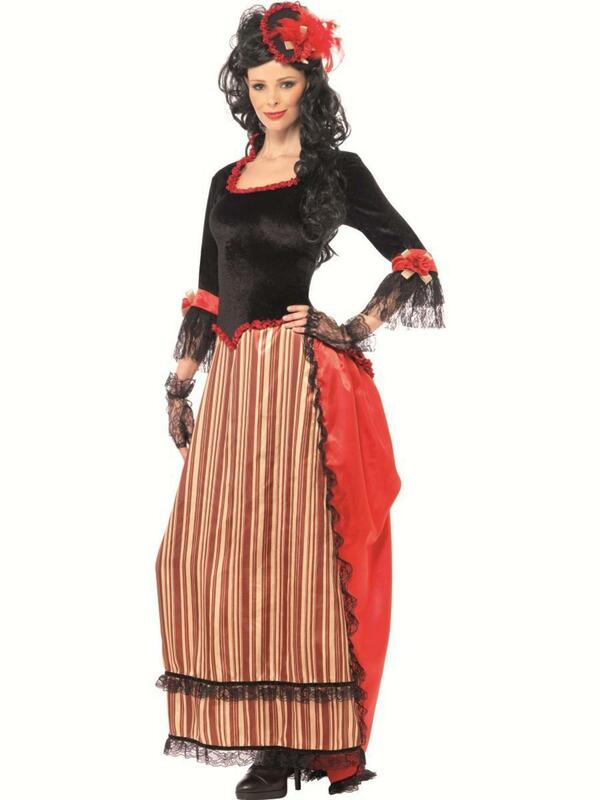 This Wild West sweetheart costume is perfect for the ladies out there that are wanting to look good whilst stealing some hearts in the process! 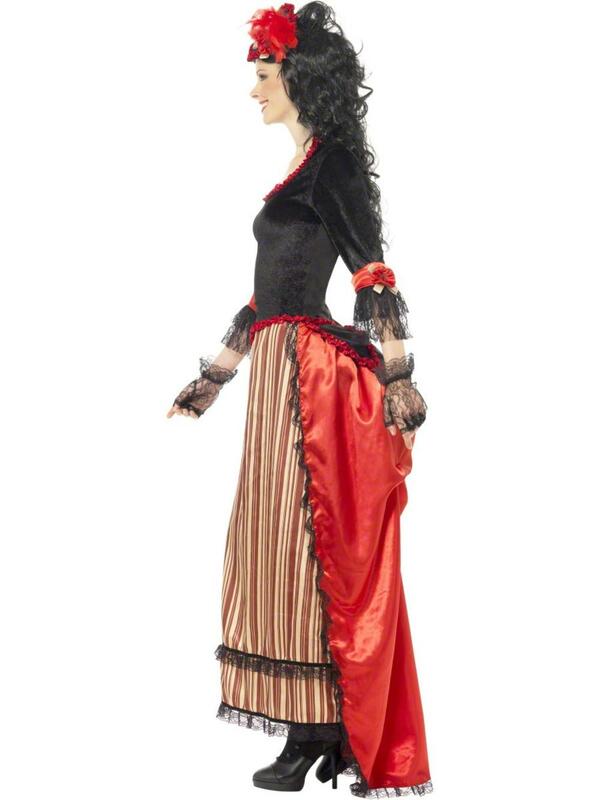 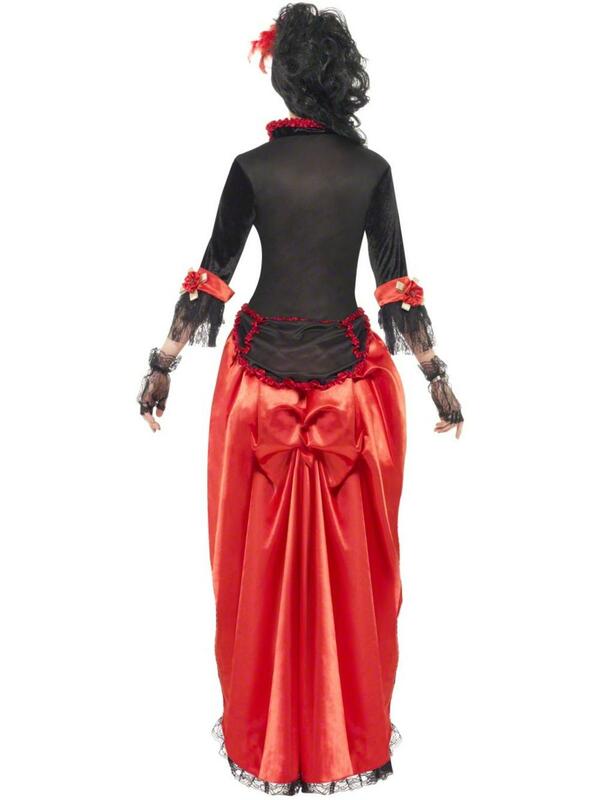 The floor-length, lace trimmed dress combines a mixture of both elegance and seduction; black on top but turns into a passionate red the further you go - the same red as the feathered hat that adds a bit of burlesque glamour affilliated with the saloon girls of the West. 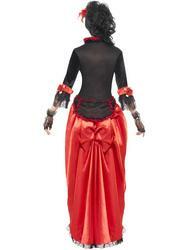 A perfect addition to any Wild West or Cowgirl & Indians themed fancy dress party!